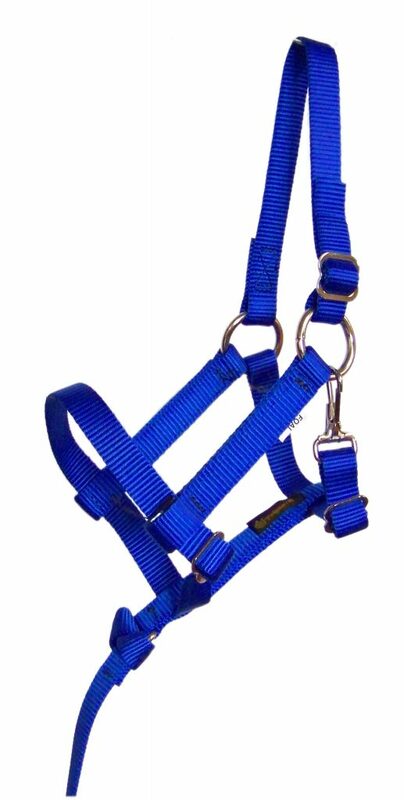 Halter is constructed with durable single-ply 3/4" premium nylon and nickel hardware. Equipped with convenient removable handhold. Fully adjustable with throat snap. Box/cross stitching and computerized web cutting. Quality crafted in the USA.